Businesses, STOP Buying Computers From Big Box Stores! 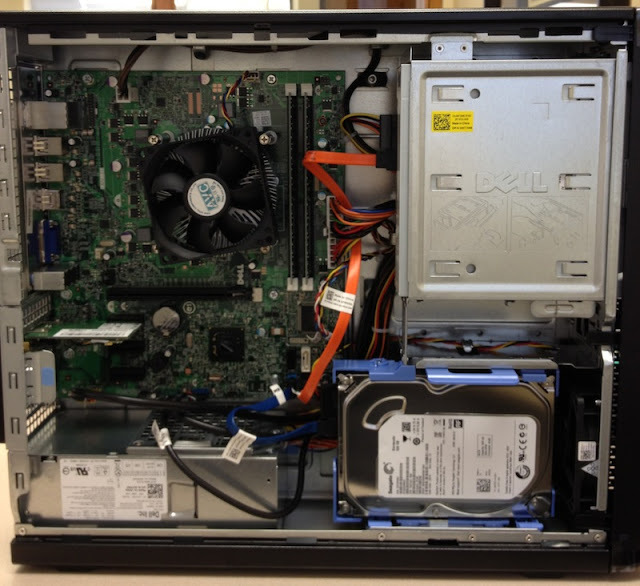 Recently, we had the displeasure of, once again, assisting a client with a new Windows computer for his business. The scenario was an all too common one: A need is identified for a new or replacement device but the company can’t wait for Dell to ship the machine out. What happens next is why we at Calwell always recommend customers never purchase business desktop PCs from a big box store. Now, there are always exceptions – so it’s important to acknowledge them. Apple computers will be the same no matter where purchased, and some big box companies do sell business-ready PCs. Our advice is simply a guide to save you disappointment. In this context, we consider Best Buy, Staples, Wal-Mart, Costco and Future Shop big box stores. Companies like Tigerdirect and MDG are more difficult to apply to this list, but may still apply. Be careful where you buy a computer! I thought I had seen everything, and then I came across a computer sold (to one of my clients) from the company IT Waterloo (itwaterloo.ca). Here’s the problem – they sell you a computer with what they call “OS License Only”. This computer is shipped to you with a blank hard disk, no CD-ROM of Windows to install with and simply a sticker on the outside case of the system to install with. You are not given the option to have the CD shipped to you – nor are you given details on the history of the computer or that copy of Windows. In fact, one of the questions Microsoft asks when you try to re-activate Windows (by phone) relates to the history of the computer.